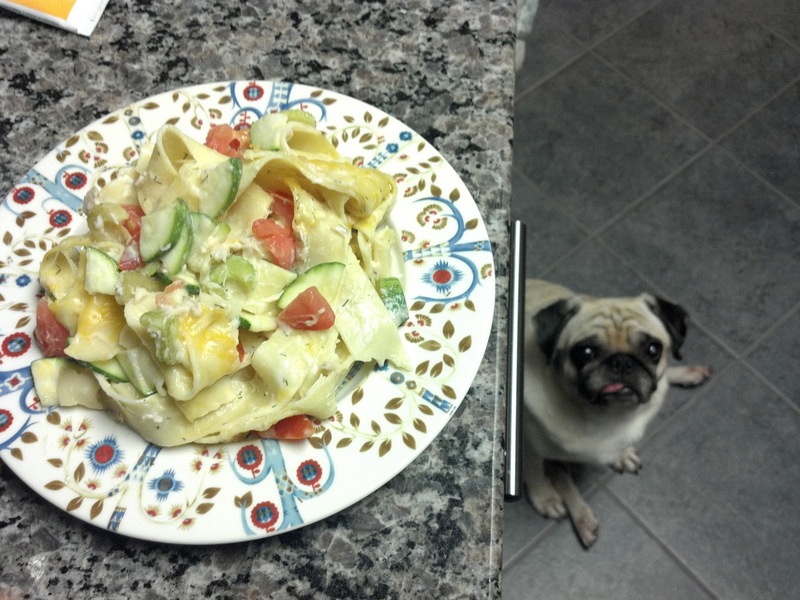 Lil Smug Pug: Me Want Fooooood! 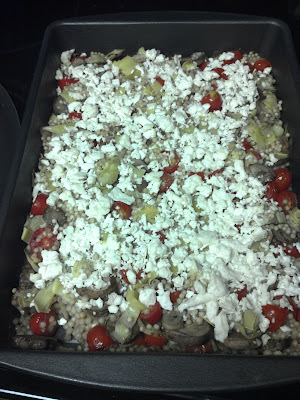 Lately I've been cooking a lot more in an effort to eat a healthier and more varied diet. I get obsessed with certain foods for a while but then once I'm done with it, I need something very different to surprise my taste buds. On my sister's suggestion, I got the two Six O'Clock Scramble cookbooks which have a ton of great recipes. I definitely have to be thoughtful about portions since most of the recipes are geared for families and I'm cooking for one, but luckily I love leftovers because it means less cooking. And I also add a lot more spices because I like my food spicy and strong flavored, and a lot of the recipes in the cookbooks are meant to be kid-friendly. So here's a few of my recent meals that I've cooked up! Rosemary-lemon pork chops with yogurt feta sauce (p. 101, newer book), french roll with cheese, and a side of green beans, tomatoes, and goat cheese. I love the pork chops with the yogurt sauce! The yogurt sauce seems a bit strong and yogurty if eaten alone but combined with the seasoned pork, it makes such a great combination. 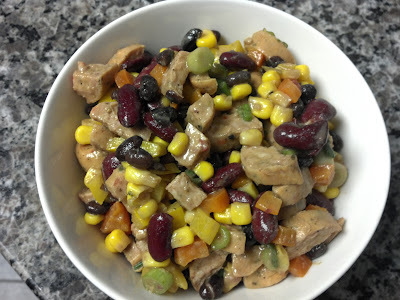 Summer bean salad with turkey sausage (p. 160, newer book). I use Trader Joe's jalapeno chicken sausage instead of regular turkey sausage to add a bit more of a spice kick. I also douse it in Tabasco Sauce, because I luh-luh-love Tabasco Sauce. 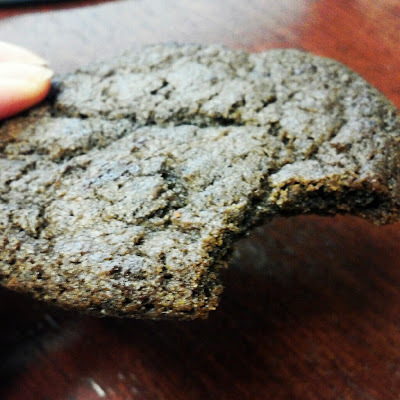 This tastes a lot yummier than it looks in the photo! Plus, it's easy to make ahead of time and refrigerate for future meals. Texas black bean casserole (p. 76, old book). This was really yummy but didn't feel like a real meal. It was more like a fancier and heartier dip for chips. 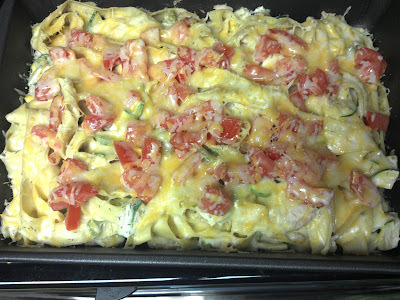 Light tuna casserole with zucchini and tomatoes (p. 132, newer book). This was good but definitely tastes like a lighter version of a tuna casserole. Great if you love tomatoes and zucchini. Do you see the little begging lurker? Couscous and savory vegetable casserole with feta (p. 64, old book). This is super tasty and a nice vegetarian option to switch things up a bit. 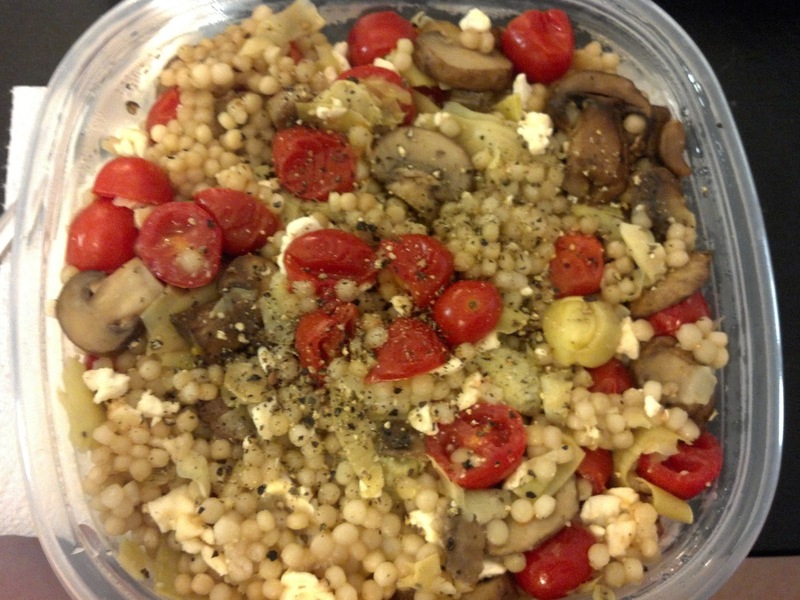 I love anything that uses artichoke hearts and Israeli couscous (much bigger than regular couscous and, in my opinion, better). As soon as I finish cooking a casserole I divvy it up into tupperwares. 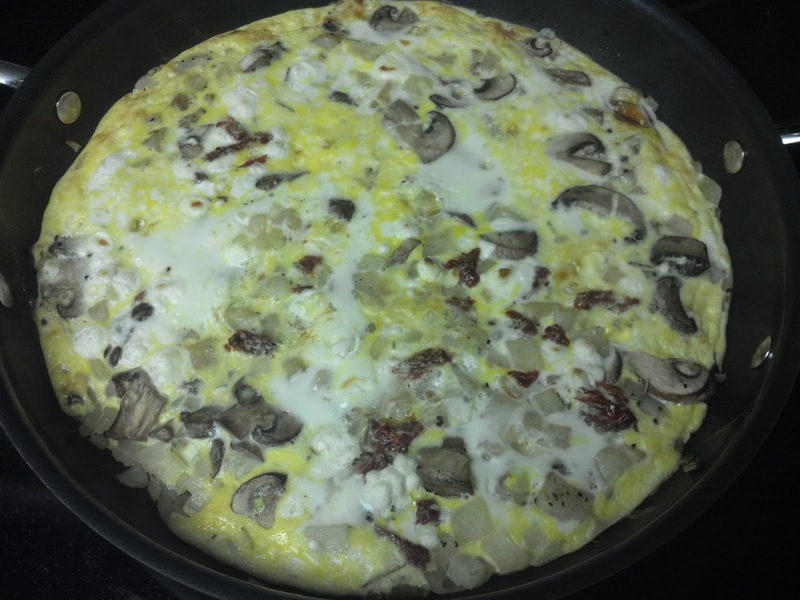 Potato and goat cheese Spanish tortilla (p. 109, old book). 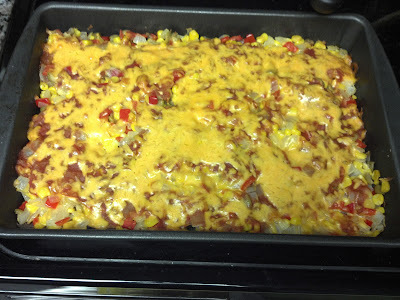 This is one of my favorite recipes but my sister is not a fan of it. I've had this kind of dish at Spanish restaurants before and love it. I definitely add more things to it like mushrooms and sundried tomatoes, and salt and pepper it generously. My sister thinks it tastes bland, but I love it because it combines so many things I love - eggs, potatoes, and goat cheese! 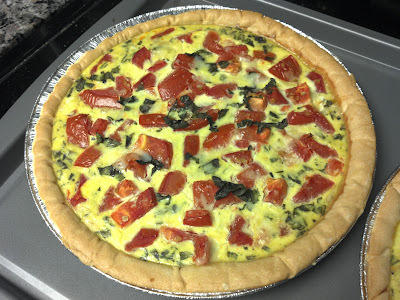 Fresh tomato and basil quiche (p. 209, old book). This is one of my sister's favorite recipes and she makes it pretty regularly. I didn't love it as much. I'm not a big crust person and so I felt like that was wasted on me. 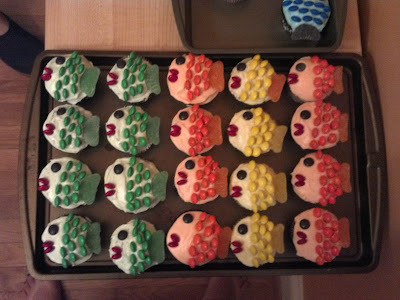 But it's tasty and easy to make. Asian pasta salad with ginger-soy dressing (p. 66, old book). Since I don't love carrots (actually I really hate them for the most part), I use Trader Joe's broccoli slaw instead of shredded carrots. The slaw has a bit of carrots, but I can't really taste them. Another good vegetarian option. I also like to add peas to this. 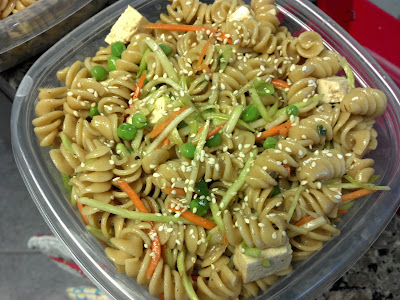 This can taste a bit bland but I think it's because I use low sodium soy sauce. If I sprinkle more salt on, this is really yummy, but I guess that kinda negates my getting low sodium soy sauce. Oh wells. Baked "fries." For a while I was obsessed with making these baked potato "fries." OBSESSED. The instructions are at the back of the old Six O'Clock Scramble book in the potato section of the sides index. I made them almost every day! I used the Trader Joe's olive oil spray to not go overboard with the oil, and I topped it with a ton of seasonings. My favorite combo was salt, pepper, rosemary, oregano, and garlic powder. When my sister from LA came to visit this summer she was loving these too and every night we made a huge batch. They of course don't taste exactly like good ol greasy yummy fries, but they're way better for you and hit the fries craving. And now for a few non-Six O'Clock Scramble things I've cooked up! Chicken/tuna waldorf salad. I always love the chicken waldorf salad sandwiches my sister used to make (recipe here) and was craving them recently. 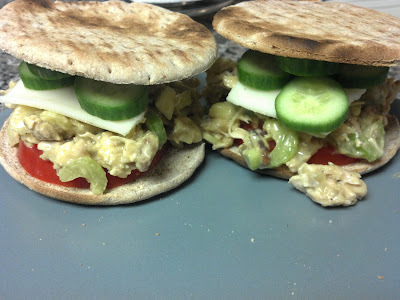 I like this recipe because it's so flavorful but I made quite a few tweaks - used low fat mayo, used canned chicken (and double the amount), and used sandwich thins (since croissants are delicious but sooo bad for you!). I topped this with a slice of light havarti cheese, sliced tomatoes and sliced Persian cucumbers (love those). Chocolate mug cake. 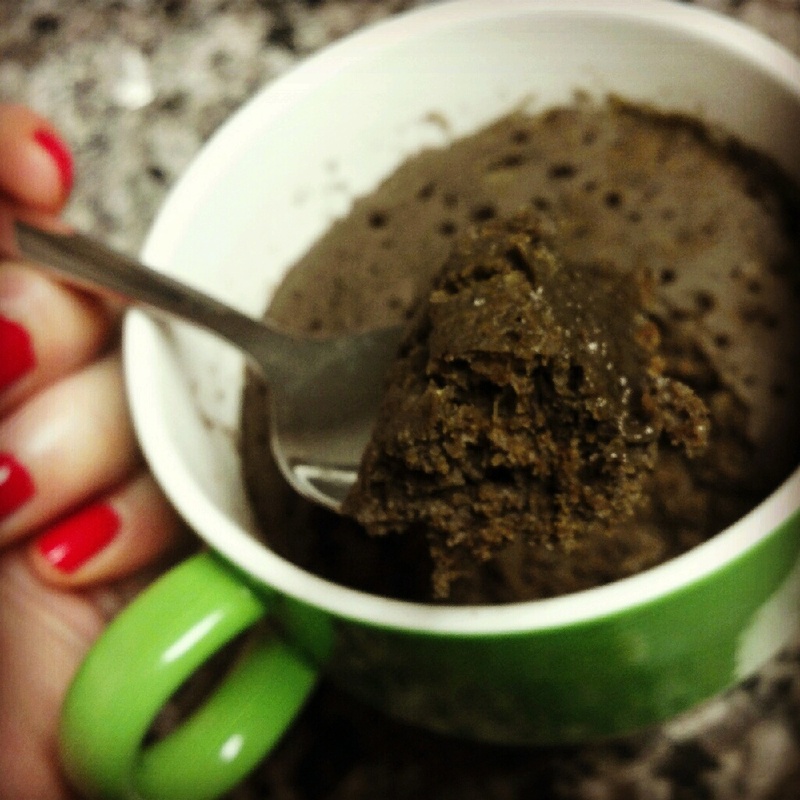 For a while I was obsessed with mug cakes. 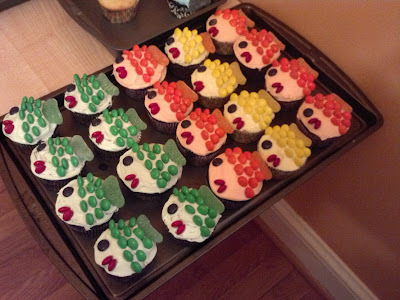 I guess I was going through a sweets craving! I don't recall the recipes for these but you can google them to find a bunch. The first one I made was chocolate cake using coke instead of oil and eggs. It's not as yummy as real cake but it was pretty good! Mug coffee cake. The second one I made was a coffee cake which uses real butter and is very good! 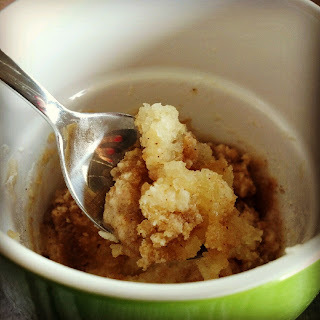 I got the recipe from here (mug coffee cake recipe). It's definitely an occasional splurge for me, not regular! 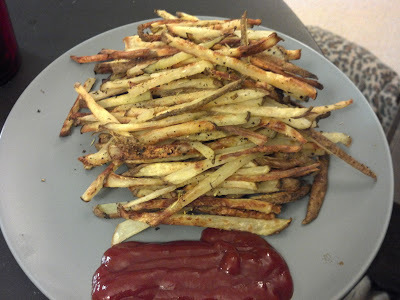 I also usually halve the recipe since I really only want a taste and don't need much (sweets I don't need too much, but chips, fries, and other salty snacks, forget about it!). Banana "ice cream." I also tried out some banana "ice cream," which I made with a bit of unsweetened cocoa powder and peanut butter. 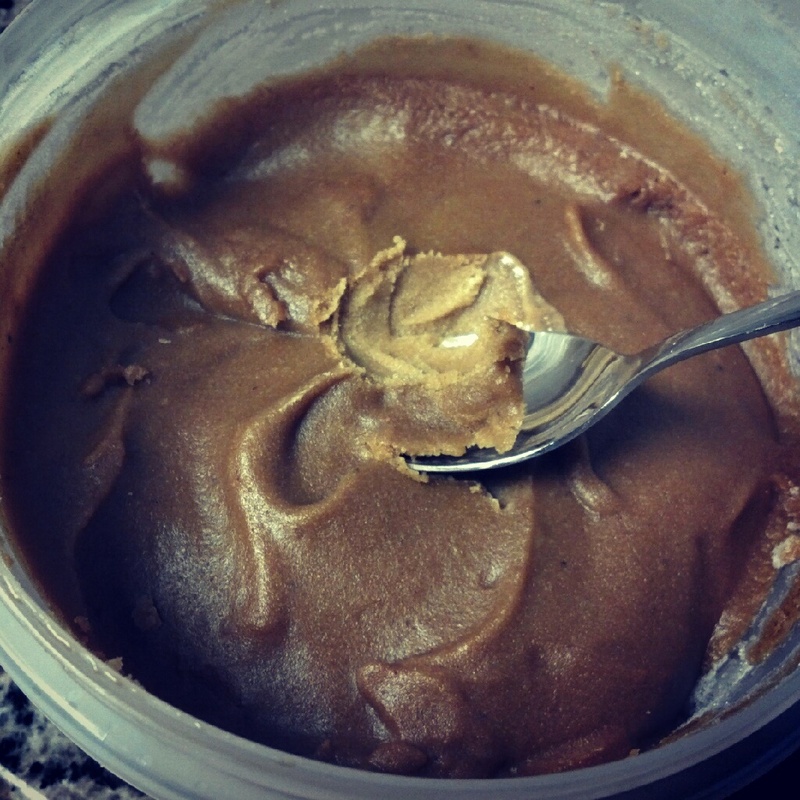 The "ice cream" is basically just frozen bananas that you run through the food processor until they get creamy. I then refroze it to get an icier texture. This does not taste like ice cream at all except for in texture. So it's a good alternative if you love bananas, but for me it doesn't quite hit my ice cream craving. I did like eating this as a cool pre-run snack since I usually eat a banana before my long runs but often don't like the texture of it in the early morning. I'm torn between the two options for freezing bananas. Most people peel and slice the bananas before freezing which makes it a lot easier. But I kept the peels on the first time since I didn't know any better, but found that it helps prevent freezer burn. It's a pain to peel and cut afterwards but found that if I let the bananas sit out for a bit and then cut it with a knife I run under warm water, it's not too bad. And here are a bunch of fun baked goods that my sister made recently for her kids' birthday parties. 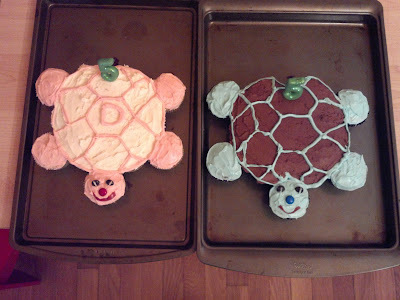 Turtle cupcakes! 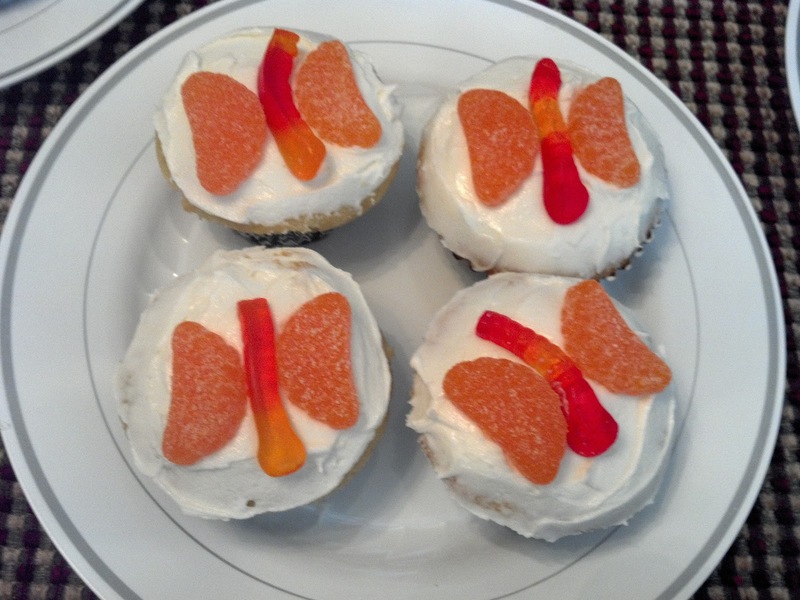 The body is made of a bunch of cupcakes that she then iced over and designed as per her kids' specifications. What you can't see and that I only discovered later was both the turtles have cute little licorice tails. 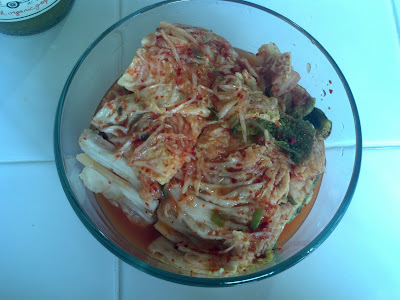 Kimchi. And this one was made by my mom. One of my favorite things that she makes is homemade kimchi. It tastes sooo much fresher and lighter because there's less salt and no msg. It's almost like a salad! And the juice that comes with the kimchi makes for some excellent bibimbap. Sometimes I could just drink the juice with a spoon, it's that good and light! And I didn't cook these but these were courtesy of some of the yummy lunch trucks in the DC area. 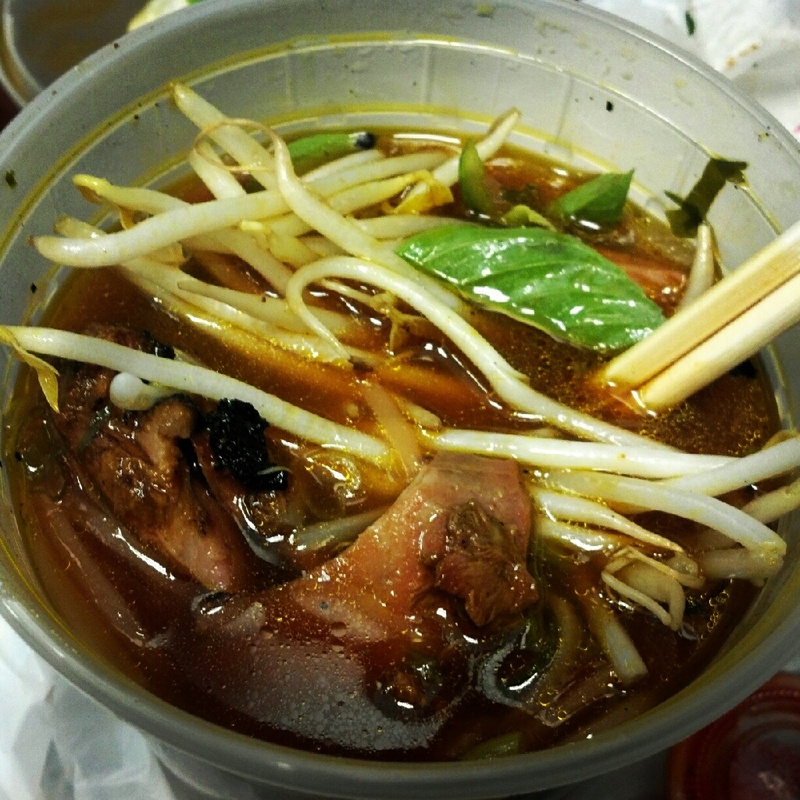 Pho and a chocolate espresso cookie! Surprisingly yummy! 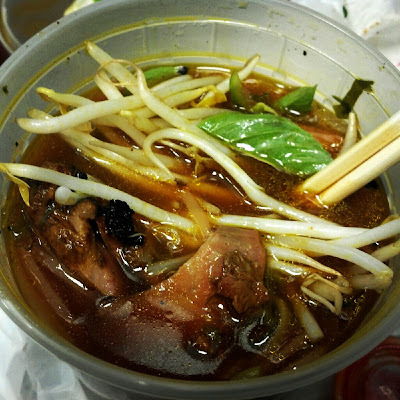 The pho comes with a bag filled with bean sprouts, basil leaves, sliced jalapenos, and lime wedges, just like you'd get in a restaurant! I got the one with bbq chicken since I was told their chicken is delicious.